Well, it has been a long 18 years for Bangladesh to be in the most prestigious format of Cricket. So far Bangladesh has played 110 Test matches, and have plenty of eventful memories including 51 Test Tons to 20 different Bangladeshi Test Cricketers. 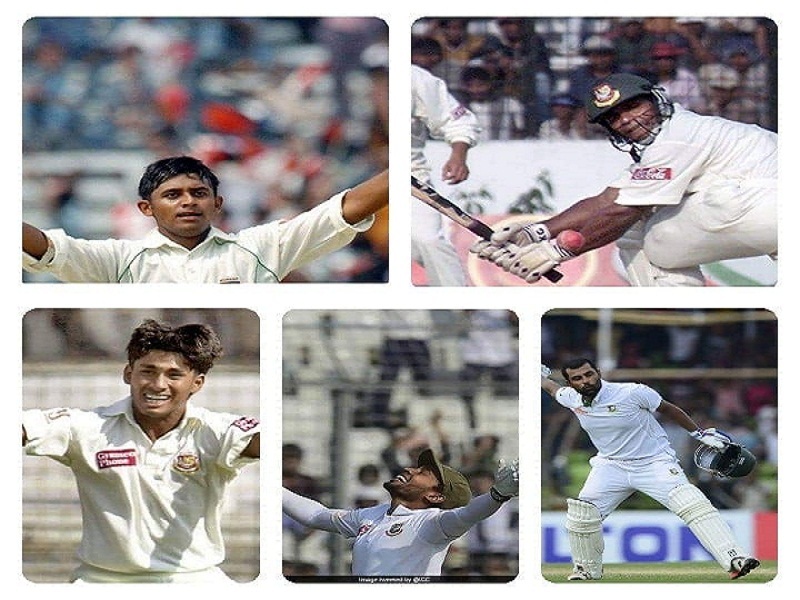 So, we thought why not to try and find the five most Incredible test innings by Bangladeshi batsmen. Even we know that it’s a tough ask while people have a different point of views, but we will try our best to explain why we have chosen those innings for our list. So far, Tamim Iqbal has scored 8 Test tons in his career, and I guess each one of those is worth mentioning. But have chosen this particular innings for some reason. When Tamim came to the crease to open the second innings for Bangladesh in the 4th day of that particular Test, his side was already 296 runs behind against a strong Pakistani bowling attack. It was really a tough ask for Bangladesh to save the match. But what he had done was just mind-blowing. He put a record 312 runs opening stand along with Imrul Kayes, and Bangladesh managed to draw the game by scoring a mammoth total of 555 for 6. There were 17 boundaries and 7 massive sixes in his 206 runs innings of just 278 balls. 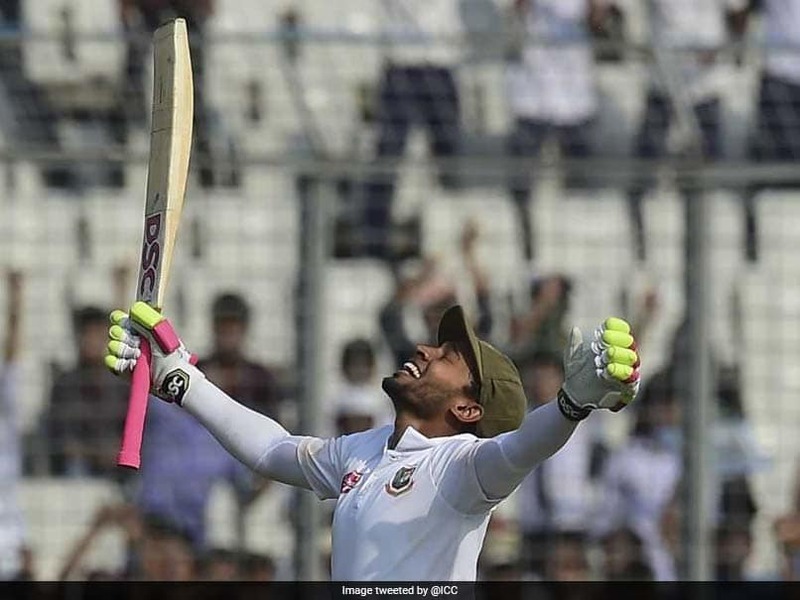 Currently, this is the highest individual Test innings by any Bangladeshi batsman, the most recent addition to Bangladesh’s Test tons list as well. While Mushfiq has scored this epic unbeaten double hundred, Bangladesh team was under tremendous amount of pressure by getting all-out under 200 runs for their last eight Test innings. After losing the first test at Sylhet, Bangladesh finds themselves at a bizarre position once again in the first innings of this test match. Mushfiq’s form with the bat was quite poor as well. He was able to get only 135 runs in his last 9 Test innings before this match. Mushfiq came at number 5 while his team was already 3 down on just 26 on the board. Then he and Mominul Haque put a great partnership of 266 runs and took the game away from Zimbabwe. This was such a composed innings that he didn’t hit a single risky shot throughout his innings. It took 421 deliveries and almost 600 mins to score 219 runs with 18 fours and a clean six. That’s all for the part 1 of this arrangement. We are keeping the rest for our second part. Let’s see, whether we can a amaze you guys or not in the next part. Nice post. I used to be checking constantly this blog and I am impressed! Extremely helpful info specially the final part 🙂 I maintain such information much. I was looking for this certain information for a very lengthy time. Thank you and good luck. It’s an amazing paragraph in support of all the online users; they will get advantage from it I am sure. aware of it. Therefore that’s why this post is perfect. Thanks! weblog, and I used to pay a visit this website daily. site; this website carries remarkable and actually excellent material designed for readers. know-how daily by reading thes fastidious content. you’re a great author. I will always bookmark your blog and will eventually come back later on. do not know about. You managed to hit the nail upon the top and also outlined out the entire thing with no need side effect , other people could take a signal. of the blogger lovers but this post is truly a good post, keep it up. journal every day. I’d like to start a blog so I can easily share my personal experience and feelings online. they’re talking about on the net. You certainly realize how to bring an issue to light and make it important. I surprise how a lot attempt you place to create one of these wonderful informative website. logo new reader. What may you recommend in regards to your submit that you just made some days in the past? for the reason that i wish for enjoyment, since this this site conations truly fastidious funny data too. but this paragraph is really a pleasant article, keep it up. Wonderful goods from you, man. I have bear in mind your stuff prior to and you are simply extremely excellent.